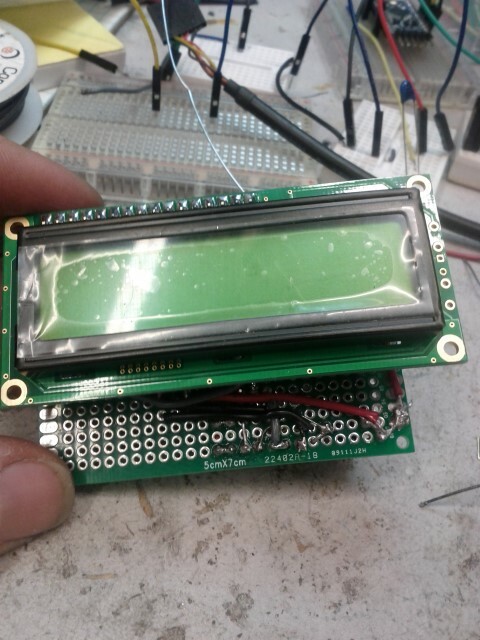 16×2 backlit LCD screen is installed using a header too. Trying to keep it as compact as possible. Final version will be very different.